$ 15.00 - $18.00 / Age 18 And Up MISS MOJO is a soul-pop band based in New Orleans, LA that strives to move audiences through its potent songwriting and high-energy live performances. With the dynamic combo of Jenna Winston and Piper Browne serving as the voice of the band, Miss Mojo seeks to use its platform to highlight the power of women through music. LUHX. is an alt-pop band formed in Boston. They started writing music to get the attention of ex-girlfriends. It worked. The heartache that grew within them festered and concocted a bold, industrious tone with a laser-focused point of view. 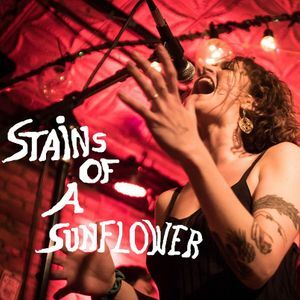 STAINS OF A SUNFLOWER offers a unique and confidently delivered modern twist on the classic elements of impassioned, '60s-kissed folk. The 4-piece alt-folk rock band is led by Natalie Renée, San Franciscan songwriter and lead vocalist, and is based out of Boston MA.